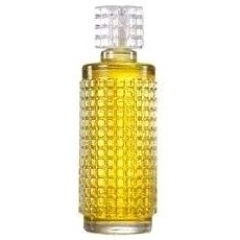 Charisma (Cologne) is a perfume by Avon for women and was released in 1968. The scent is floral-powdery. The production was apparently discontinued. Top Notes: Neroli, Hyacinth, Coriander, Bergamot, Peach, Aldehydes. Heart Notes: Carnation, Jasmine, Narcissus, Ylang-Ylang, Orris, Rose, Lily of the Valley. Base Notes: Musk, Sandalwood, Amber, Styrax, Tonka Bean, Vanilla, Civetta. This review is for a vintage EdC. Recently, I purchased some newer Avons that impressed me more than I thought they would do, so I decided it was time I investigated some vintage Avons, and Charisma was the first one I purchased. In all honesty, this is one of the nicest "old style" floral fragrances I have ever smelt. I cannot believe how well this vintage has stood up over the years. If it smells this good now, I can only imagine how wonderful it must have smelt whence it was first bottled. Charisma is a cool, green floral. Upon first spray I perceive aldehydes which lift the floral and animalic notes. It smells very fresh but classic. It does not remind me of any recent fragrances. I love carnation, and the carnation in Charisma is wonderful. It dances in and out with jasmine, rose, narcissus, orris, and hyacinth. The heart notes bloom on my skin for roughly two hours. The deep dry down is green and lush. Projection and sillage are excellent for two to three hours. Longevity is excellent compared to more recent fragrances including my most expensive CHANEL Les Exclusives. Charisma is noticeable on my skin for five to six hours before it really begins to fade away. If I apply it at night before going to bed, I can still detect it on my skin the next morning. My experience of Charisma prompted me to purchase several other vintage Avons, and whilst not every one of these has impressed me as much as Charisma has done, overall I am greatly impressed with all of the vintage Avons I have purchased thus far. If only all fragrances were made this well today! Charisma begins heavy on the civet, wrapped in deep musky overtones of bergamot. This is a fragrance of mystery, for people who are willing to go out on dares, ladies who wear trench coats with beautiful lingerie underneath and killer heels. This is a black eyeliner, false eyelashes, red lipstick, pull out all the stops perfume. Just when you think Charisma has melted away, she will come back to haunt you with delightful fumes. This frag will surprise you. Charisma sits low and stays closer to the skin for a reason. For when the other person takes your arm and begins to sniff your wrist, go a little higher, sniff the crook of your elbow, you'll see a difference in their eyes. This is not a child's perfume. If Charisma was developed at the turn of the 1900's, Mata Hari would have chosen it. Luckily today, it's available at flea markets/thrift stores/Ebay etc., and if it's been properly preserved, you can enjoy the delights of it and use it lavishly. When Avon first introduced their perfumes they used quality ingredients. Their perfumes that we now call vintage are absolutely beautiful fragrances and should be explored. I have a splash and don't get the aldehydes stinging my eyes in the initial outburst. I do appreciate the hyacinth dancing around with Lily-of-the-Valley, Jasmine, Orris Root and Ylang-Ylang. These flowers dance a waltz, they don't overpower. They're refined. Charisma has such a glorius mix of notes, blended so perfectly, it is a hidden vintage treasure for noses that appreciate the true glamour of perfume before regulations have interfered and reformulations have changed the mixes. Charisma has been likened to Coco, but I just cannot appreciate the similarities within the two. If anything, I'd compare it to Tabu, but Tabu is for bad girls, Charisma is for both good and bad girls wanting the same effect. It's not strong in it's sillage, but it's strong in it's effect. It's a hidden power perfume. An elegant perfume that still boils down to a delicious scent that will be appreciated. Sometimes a fragrance needs to be discovered on your body and not discovered in the airspace around you. Charisma fills this need. Write the first Review for Charisma (Cologne)!